Evaluating the stray radiation around medical electron accelerators is a mandatory issue. Surveying the radiation leakage dose is important for patients, technicians, and health physicists, due to radiation protection aspects. 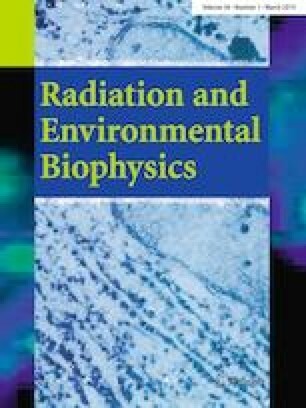 Consequently, radiation leakage dose around the head of a mobile-dedicated intraoperative radiotherapy accelerator (LIAC), at different electron energies and field sizes have been evaluated in this study. More specifically, the MCNPX Monte Carlo code was used to model the LIAC head, connected applicator, and employed water phantom. Radiation leakage dose around the LIAC head was calculated for different energy and field sizes through tuning the Monte Carlo results to the practically measured doses. These measurements were performed using an Advance Markus ionization chamber inside an automated MP3-XS water phantom. The good agreement between the calculated dose distributions within the water tank and corresponding dose measurements show that the simulation model of the LIAC head is appropriate for radiation leakage assessment. The obtained radiation leakage dose distribution highly depends on the electron energy and applicator diameter. With increasing the electron energy, the leakage dose decreased, while increasing the field size increased the leakage dose. It is concluded that the rate of stray radiation and leakage dose around the LIAC head in both vertical and horizontal planes were acceptable according to the recommended radiation protection criteria. To meet the recommended dose limit (100 µSv/week for controlled areas), the maximum number of patients should be kept to four patients per week inside a standard and unshielded operating room.